The Senate of the Philippines announced today, May 26, 2014 the approval of third and final reading of bill granting Philippine Citizenship to American professional basketball player Andray Blatche, who is a member of the Brooklyn Nets, the National Baskekball Association (NBA). Committee Report No. 27 on House Bill No. 4084, sponsored by Senator Sonny Angara was approved with 20 affirmative votes, zero negative votes and zero abstention. "The recent modest ascent in the International Basketball Federation (FIBA) standings is indicative of the development of Philippine basketball in the international scene, which ought to be sustained," Angara said. "International tournaments allow countries to be represented by naturalized players subject to certain conditions like the number of naturalized players in a team. Other countries, while ranking higher than the Philippines, have opted to take advantage of this naturalized-player rule, meant to equalize the world basketball landscape historically ruled by American and European countries, with great benefit," Angara added. Blatche is not the first international player to become a naturalized Filipino citizen. In 1985, three naturalized players, namely Dennis Still, Jeff Moore and Chip Engelland helped the RP-North Consolidated Corporation win the William Jones Cup and the ABC Championships. Another naturalized player, Marcus Eugene Douthit, who became a naturalized Filipino in 2010, helped bring honor to the Philippines by helping the Philippine team win the 2010 Philippine Invitational Cup, 3rd place in the 2010 William Jones Cup and 2012 William Jones Cup Championship. 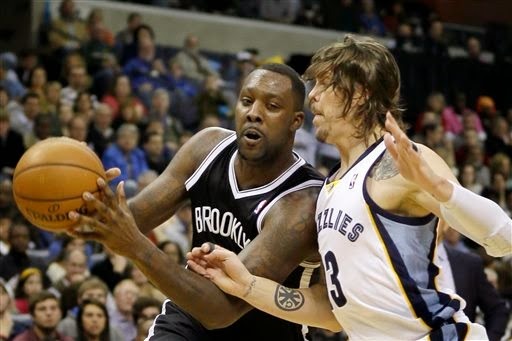 Blatche is currently playing for the Brooklyn Nets alongside Kevin Garnett, Deron Williams and Paul Pierce. Blatche, who stands 6'11," averages 11.2 points and 5.3 rebounds per game. Fresh out of high school, Blatche was drafted to the National Basketball Association (NBA) in 2005 where he was chosen 49th overall by the Washington Wizards. He was eventually released by the Wizards in 2012 and was signed up by the Nets. "Andray Blatche has openly expressed his desire to play for the Philippines. He is in a position, at age 28, to make significant contributions to Philippine basketball and accordingly, eligible for the conferment of the honor of being a Philippine citizen," Angara said. Blatche will be part of the 24-man roster of the Smart Gilas Basketball where the final 12 players will be chosen to compete in the FIBA world championships this August in Spain.